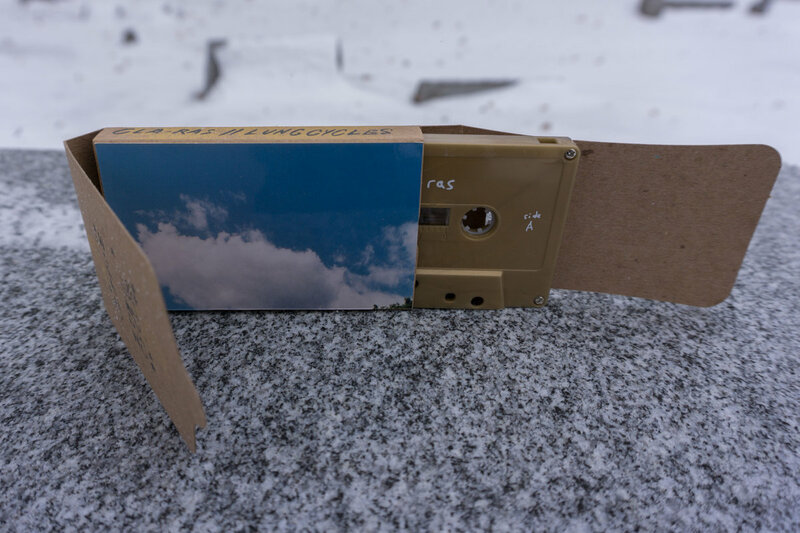 Cla-ras spends the majority of its nineteen-minute half of this split tape in deep introspection, meditatively allowing the gently played guitar to warm the room with its rich tones. 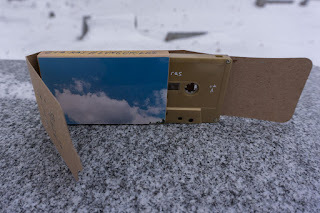 I stole some of that language from Lily Tapes & Discs, because it’s an easy entry point to Cla-ras, the Providence-based musician whose music is here released on cassette for the first time. And indeed, “I Could Taste Iodine in the Drinking Water” feels like it’s right next to you on the couch, warm fire crackling, snow drifting beyond the window, a knowing and comfortable companion. Even as spoken word snippets appear here and there, these adapted from Mary Wollstonecraft Shelley, the spell remains unbroken. Here’s hoping for more from the Cla-ras camp in the near future. Lung Cycles is no stranger to Lily Tapes & Discs, but these three tracks on side B mark the first output since 2015. As always, the ambient acoustic folk Lung Cycles has perfected sounds like a transmission from a time long past. Sidling into the room and sitting down on the couch next to Cla-ras, Lung Cycles continues the deep winter living room rumination, remaining in quiet reflection throughout the entirety of his while looping in unobtrusive samples and allowing the environment itself to lend accompaniment. This tape was released in January, so its very existence makes SO MUCH SENSE. The vibe of chilly isolation is its strongest selling point, tied as it is to a distinct time and mood. Also, the packaging itself just looks gorgeous.